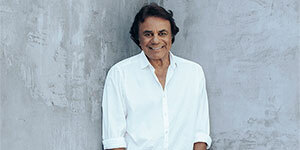 Best-known for his supremely popular hits like “Chances Are," "It's Not For Me To Say," and "Misty,” Johnny Mathis returns to State Theatre New Jersey on March 13! He chats with us about why he loves New Jersey (hint: tomatoes) and how he decided to pursue singing. with Bert and Kelly from All Access and special guest Johnny Mathis. Bert: Hi, again and welcome to All Access with State Theatre New Jersey. This is the show that takes you backstage, behind the scenes, and behind the curtain at the legendary State Theatre in downtown New Brunswick. How are you this week? It is Bert Baron, joined by Kelly Blithe, the State Theatre Director of Communications. How are you, Kel? Kelly: Good, how are you, Bert? Bert: I am wonderful and I am gonna cut my introduction very short because it’s not every day that you get a legend, an icon joining us on the phone, Kel. Would you like to introduce our opening guest? Kelly: Yes, thank you, I would. 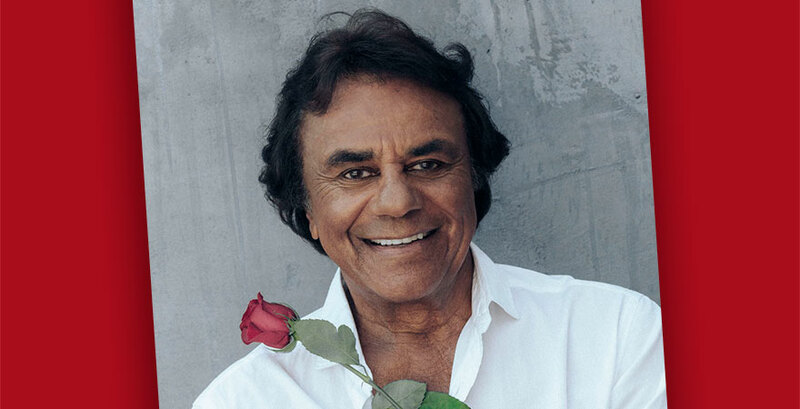 Returning to the State Theatre, we’re very very excited to welcome to today’s show Johnny Mathis! Welcome, Johnny. Johnny: Well, bless your heart. Thank you so much. Kelly: So, Johnny, you have been a State Theatre fan favorite for many years and every time you come back it’s always a treat. We’re so excited to have you. How’s it feel like coming back to Jersey? Johnny: Well, I love it. You know, I started my career right around the corner in New York but I spent a lot of time in New Jersey, strangely enough, for tomatoes. I love Jersey tomatoes. That was another thing; I’m sort of an old farmer myself. But, yeah, a lot of the outdoor theaters in New Jersey hold a lot of good memories to me. And I’m looking forward to my next performance there. Bert: Well, we look forward to it too. New Jersey is famous for a couple things, tomatoes being one of them, Johnny, so thank you for pointing that out. But, you know, there’s a lot of people, of course, they know your music, they’ve been fans for years, like Kelly and I have been. Not a lot of people know about some of the other endeavors in your life, including a pretty serious athlete at one time too, is that right? Johnny: Long, long ago. Yes, you know, I come from a large family and everything that we had, I have six brothers and sisters, my mom, my dad worked very hard to support all of us. And anything that we got really was sort of free or, you know, sort of something that you did in conjunction with other kids. And that was what it was like growing up in San Francisco. And my schools and the athletics was a big part of my curriculum. And I got pretty good at high jumping and even got the chance to go to Olympic trials as a high jumper. But I was also taking voice lessons at the same time. And that sort of put a halt to my athletics. Kelly: Yeah, you know, it’s funny. So many people wanna have that one big talent and you had two big talents and you had to decide. And we’re thankful that you went this route because here you are, many years later, coming to the State Theatre. Johnny, I gotta tell you. So a couple years ago, we had Alice Cooper at the State Theatre and he’s backstage looking through our photos and he points to your photo and goes, “Johnny Mathis, great golfer.” And I just thought it was so funny because, you know, Johnny Mathis, you, Johnny Mathis, Alice Cooper, worlds apart musically but golf brings you together. I love it. Johnny: You know what? I’m sorry to interrupt you, but Alice came to a golf course that I was playing at long time ago. And he was just starting and I thought, “Great. You know, Alice is gonna play golf.” And I hope that he kept up the golfing, I’m not quite sure, but that was my first meeting with him and we became pals after that. Bert: Kind of an interesting combination if you think about it. But I’d love to go out and be part of a foursome with you guys. That sounds like a ton of fun. Wow. Bert: How awesome would that be? 50+ Johnny stages around the world, selling records like crazy for years, and years, and years. You still love, every single day, being in this business, right? Johnny: Well, fortunately, all of my voice teachers along the way when I was a kid said, “Do this, do this because you wanna gonna sing all your life, whether you can or you can’t.” So they hit me over the head enough times to get me to a point where I continued my voice lessons and I’m so glad I did. And I must admit that my voice lessons were free, had no money, of course, coming from a large family, but my voice teachers were always very adamant about what you said and that is, “I’m gonna wanna sing for all my life, whether I can or I can’t. So make sure that I take care of my voice.” And I’ve been very very lucky in that regard and lo and behold, I’m still singing. Kelly: Yeah, and you sure did take care of your voice. I mean, you are the voice of romance. And here you are coming on the Voice of Romance Tour. Not only do you have one title, but you have two. I’ve also heard you’ve been called the voice of Christmas. So, that’s a pretty big feat. When Christmas time rolls around, do you get sick of yourself when you hear voice on the, coming around Christmas time? Johnny: Well, when you come from a large family like I do, Christmas is very important because, you know, the atmosphere is free. And this can get wrong and, of course, my dad, my mom were great when it came to, you know, helping us get the spirit of Christmas. And there’s a lot of music going on. And I was right there involved with it, mostly in church or in concerts, singing with choirs. So I had a lot of wonderful memories singing Christmas music from the time I was a little kid. And I couldn’t wait after I got first few hit records to record some Christmas music. And I still love singing at Christmas time. Bert: Excellent. So honored to welcome this week the great Johnny Mathis through All Access with State Theatre New Jersey. And also excited to welcome him to State Theatre stage coming up on March 13, so get tickets at STNJ.org. This is gonna be an incredible, unforgettable night with the one and only Johnny Mathis. Johnny, I like kind of going back and listening to the music catalogue of guests that we have on this show here. Take me back, if you would, 60s, 70s, what’s an album I could listen to start to finish from Johnny Mathis and love every single song? You have one you could recommend for me? Johnny: Oh gosh. Let’s see. What about a song called “Heavenly”? And they made it the name of one of my performances. The songs that were in the album were popular standards over the years. And the reason I mention it is the portrait on the cover of my album was done by a man by the name of Ralph Collen (?). And Ralph and I were pals for many, many years. He painted several pictures of me and a couple of them ended up on album covers. And unfortunately, he just passed away recently. He brought me a lot of wonderful memories. But, anyway, that is a very and was a very big part of that music that I sang, that Heavenly album, was that portrait on the cover. Bert: Alright. Well, as a tribute to him, Johnny, driving home tonight, I will listen to it from start to finish. My commute is that long that I can listen to every song so I’ll definitely do that. Kelly: So, Johnny, after, you know, many years of performing on stage, your long, big catalogue of songs, what is your favorite, to this day, to sing? I know there’s so many choices but what is your favorite, I guess as of right now, to sing live? Johnny: Gosh. You know what? You caught me off guard. What’s my favorite? Uh, I love to sing “Misty,” mostly, not only because it’s a pretty song and I can still hit the high note in the middle of it, but it was written, of course, by wonderful, wonderful Erroll Garner, who is a great, great musician. And most people don’t really realize that Erroll Garner could not read music. And he learned to play the piano. He was a genius in that regard. So that always comes into my mind but every night that I go on the stage and hear the introduction to that song, “Misty,” I know that the people are going to love the song because it’s so magical and so wonderful, and I have great memories of that wonderful pianist Erroll Garner, who wrote this song. Bert: And I’m so glad you brought that up because being a radio guy, 20+ years in radio, every time the movie Play Misty for Me is on, of course, about Clint Eastwood and he’s a DJ at a radio station and there’s this story that’s going on there, what was that like when they say, “We wanna make this movie around your song and it’s about a radio DJ”? Can you take us back to that period and what that was like? Johnny: Well, Clint and I are golfing buddies. And it was just a magical moment when he named that film that he did after that beautiful song, “Misty.” And I got connected with it all over again so all good things happened with Clint Eastwood anyway. Kelly: Very nice. And, Johnny, you also have a passion for cooking, so I hear. You actually have a cookbook that you released years ago. Is cooking still a passion of yours? Johnny: Haha, well, that was a necessity. If I was gonna eat, I’m gonna have to cook. Large family, you know. My mom and my dad made their living and paid for everything because they were professional cooks. And I learned to cook at a very early age out of necessity, of course. And now, I really enjoy the fact that I prepare my own meals and because certain times in your life you’re going to have to make sure that your nutrition is up to par, and that’s the case with me now that I’m going into this part of my life. I’ve gotta be careful of what I eat because I have an exercise routine that I do. You don’t wanna ruin that by eating too much so I watch my diet. God bless my mom and my dad for teaching me how to cook at an early age. Bert: Just think of it as 40 the sequel, Johnny. That’s how you gotta look at your age there. It’s 40 part two, look at it that way. But great collaborations. Oh, that song with Denise Williams is so beautiful; I could hear it in my head right now. You’ve worked with so many great people. Anybody today, any list, anybody on the Johnny Mathis collaboration list nowadays that you’d love to work with? Johnny: Oh, all of them. All of the above, you know. The ladies that I work with, Gladys Knight, and Barbra Streisand, and, as you mentioned, Dionne Warwick, and people like that. It’s such a joy, not only to sing with them, but to get to know them a little bit and find out a little bit how they go about their life in music. Because it certainly is something that never leaves you once you get involved with it. And I’m absolutely thrilled with my recordings with my girl friends. Yeah. Kelly: Very nice. And, Johnny, as we wrap up here, we thank you for being on the show. For those, we only have a limited tickets available and so we definitely, that sale(?) is right around the corner. But for those folks that are listening now, what can they expect at that show in March? Johnny: Well, you know, every time I go on the stage I say, “Oh, I’m gonna sing something different.” And it’s kind of difficult because over the years I have pared down and pared down the performances, the songs that I’m gonna sing, and gotten to a point where I think that I have a little knowledge about how to start the performance. I come out by myself at large orchestras that I sing with and I just sing a song with the piano. What do I sing? Oh, oh…I forgot. But, anyway, that is always something in my mind. I’m always trying to make sure that I sing something that perhaps they haven’t heard before. And it’s kind of daunting. Bert: Yeah, it’s gonna be great night. Again, March 13th, State Theatre New Jersey. As you heard Kel say, very, very limited number of tickets remain. But, hustle over to that website, STNJ.org. Johnny Mathis, thank you for just decade upon decade of great memories and great music. And thank you for helping us write a great chapter in the history of this radio show by having you on it today. So, thank you so much, sir, for everything and we will see you very soon, alright? Johnny: Thank you so much.